Family and Children’s Activities to Explore! Discover more than 500 ideas that are quick, easy, and affordable (often free) to connect adults and children of all ages in an electronic focused society of on-the-go families. Engage in repurposing activities with items found in the home or activities that require no materials at all. Discover the joys of a more relaxed, affectionate and unified family. Open the lines of communication, strengthen family relationships and create wonderful family memories. Becky is a friend of mine. She was an amazing teacher and gives the best hugs when I needed them. 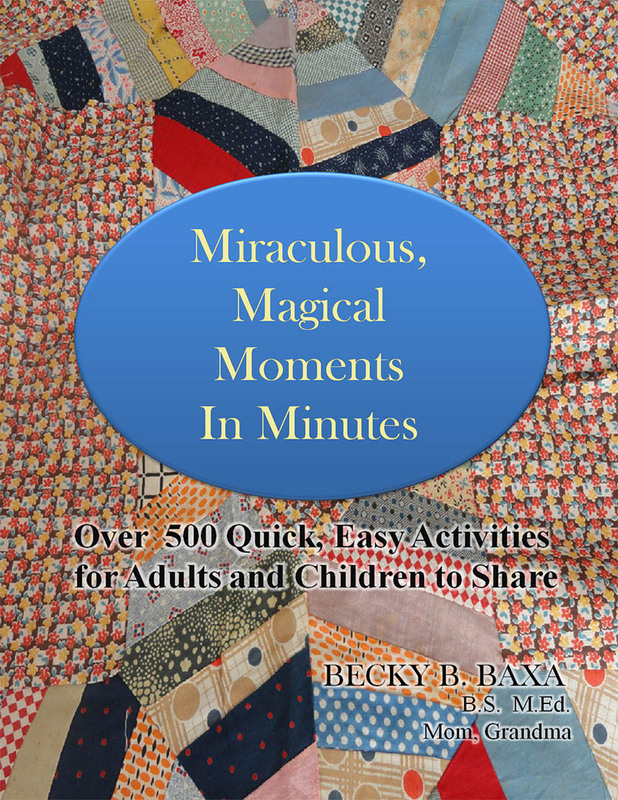 She just published her first book that has great ideas for making memories with your kids. I love it because some of her ideas are literacy related! This is a great book for teachers, home school Moms, or just Moms who want some quick ideas for their kiddos! It's a book that my cousin wrote based on her many years of experience raising her own children (home photos included), as well as, her experience in teaching. Check it out!